The Boy of Bilston Sequel- Shocking Revelations about how the Demoniac was really exposed! 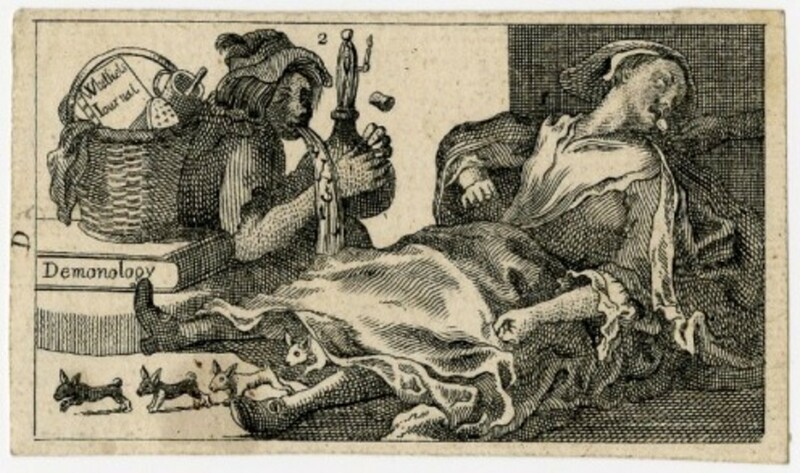 A recently unearthed document has shed new light in the case of The Boy of Bilston, the notorious demoniac, who created a sensation in Jacobean England. 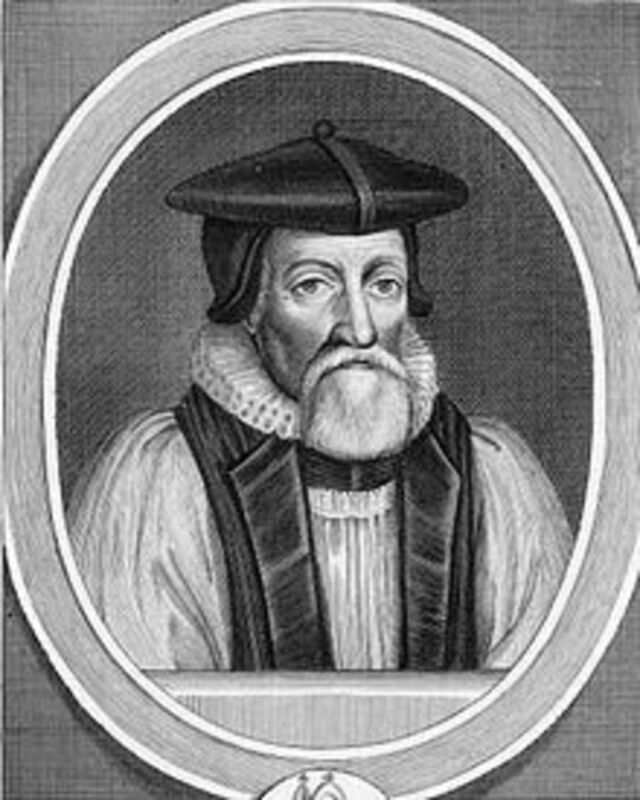 The accepted version of the story sees Dr. Thomas Morton, the Bishop of Lichfield and Coventry in the role of hero, exposing the fraudulent 14 year old William Perry by trickery. 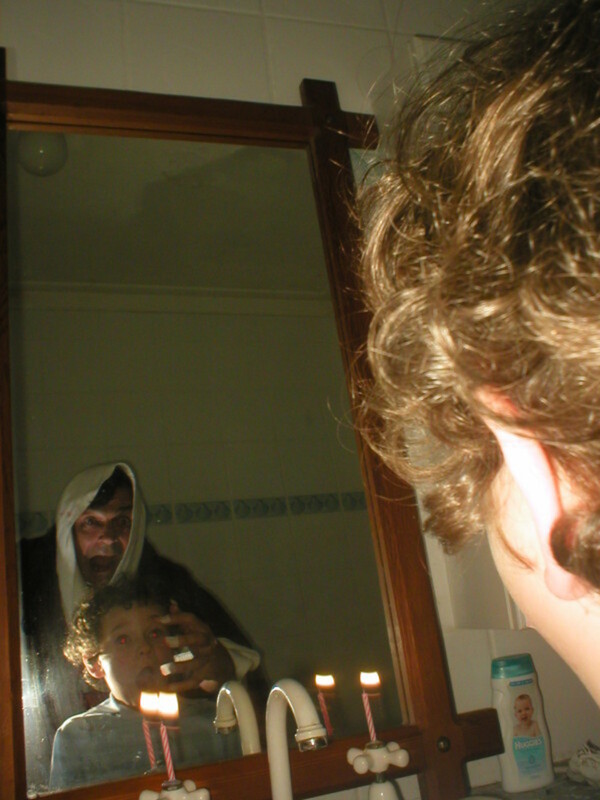 The demon within the boy was supposedly provoked into convulsions upon hearing the first verse of St John’s gospel; ‘I am the light and the word’. The widely accepted view sees the kindly Bishop, realising that the Devil would understand all the languages of mankind, pretend to read out the offending passage in Greek, at which the demon-possessed boy fell into paroxysms of twisted and contorted antics around the floor, vomiting pins, cloth and a range of other objects. The Bishop then read another passage from the Bible which had no effect on the boy. He then revealed that the first passage he read was not in fact verse one of St. John’s scripture but the second passage was. Realising that the game was up, Perry confessed to everything and after a close shave in court for fraud, went to work for the Bishop and turned out a good and honest citizen in the end. This sanitised account is actually a half-truth. Exposing the fraud was a far more brutal affair than we had been led to believe and the tactics were more akin to those of the Spanish Inquisition. Young William Perry had been coached in the classic 'symptoms' of demon possession by a Jesuit order working from Sir John Giffard’s country seat at Chillington Hall in Staffordshire.For three intensive days, Perry was groomed in techniques which would defy detection and convince even the harshest sceptic that he was truly possessed by the Devil. After he had convinced the Church of England of his possession and had defied all their efforts to exorcise his demons, the plan was for the Jesuit priests to show up and in a theatrical display of the superiority of the Catholic Church to carry out a successful ceremony of exorcism and vanquish his demons. This would constitute a huge propaganda victory and thereby encourage conversion to Catholicism. At least that’s what should have happened. Unfortunately for the Jesuits, William Perry did not stick to the agreed script, enjoying the notoriety, spending all day in bed and no school, he refused to be ‘exorcised’ when the Jesuits turned up with bell, book and candle. Embarrassed by their humiliating public failure to vanquish his demons, they fled with their tails between their legs, leaving William Perry bathing in the limelight of his new-found celebrity. This theatrical showmanship may not have caused any harm had it not been for the fact that Perry accused Susannah Fowles, (sometimes referred to as Jane Stokes), an old woman living nearby, of having sent an evil spirit to torment him. 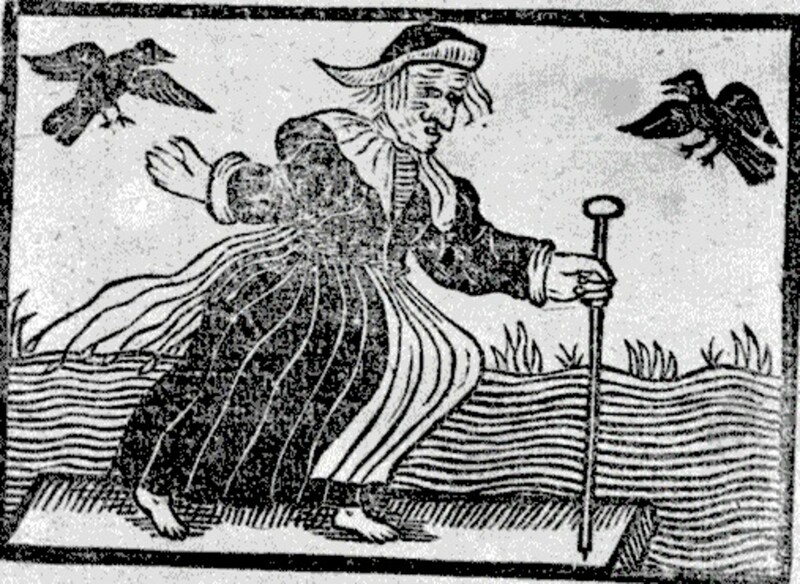 In the highly superstitious society of 17th century England, it did not take much to quickly incite a mob against the eccentric old woman and accuse her of witchcraft. 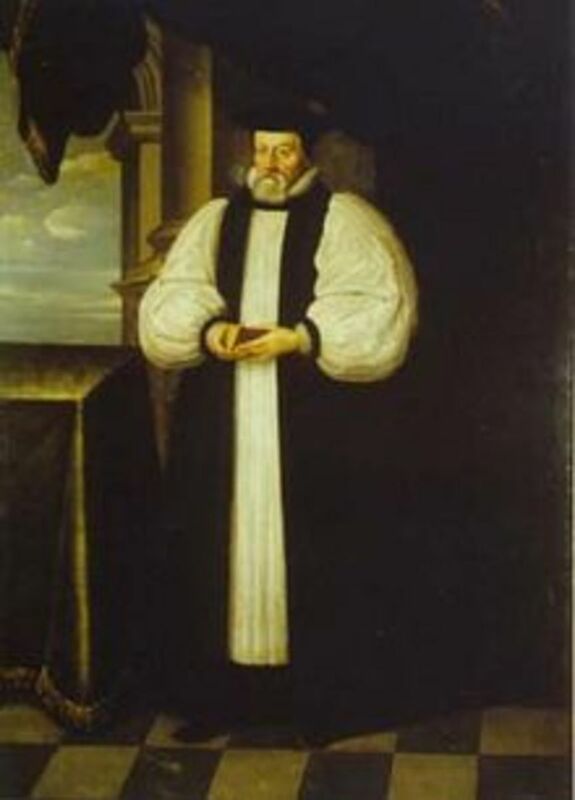 The allegations made by Perry were brought to the attention of Thomas Morton, the Bishop of Lichfield & Coventry who decided to test them for himself. He had the boy summoned and stood him in a room with his back facing the doorway and then had Susannah Fowles brought in. 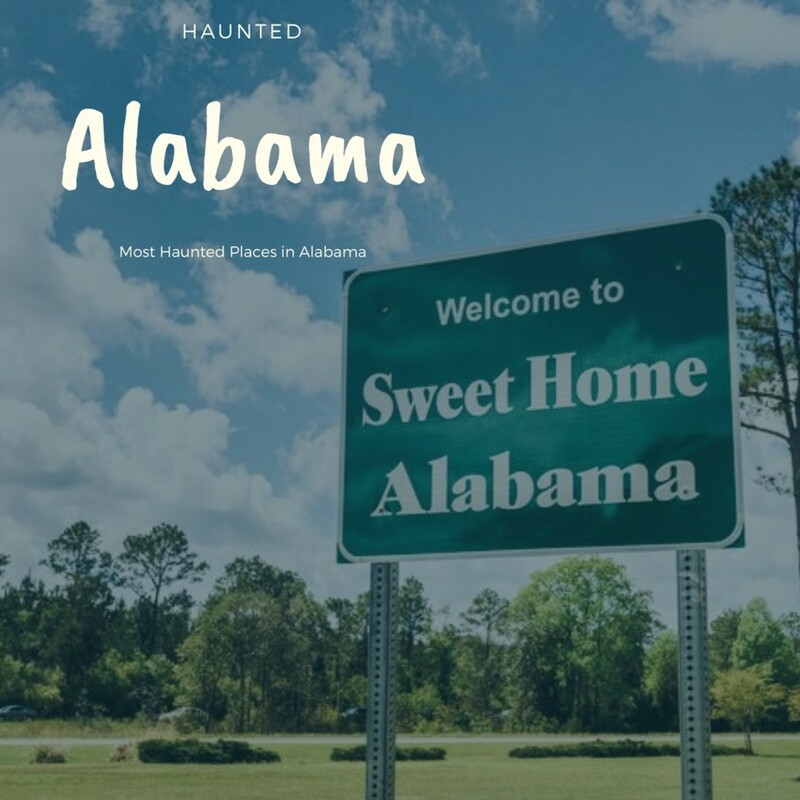 No sooner had she entered the room that the boy screamed in terror and fell to his knees calling out “Now she comes; now my tormentor comes!” He writhed violently on the floor in contorted agony and tore himself to pieces with his bare hands. His performance was so believable that the horrified spectators were convinced that it was the presence of the evil old woman that had prompted it. 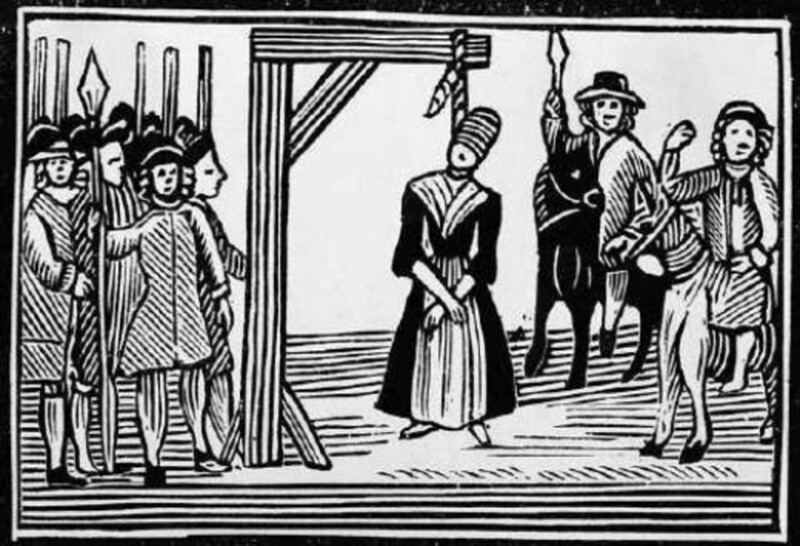 They immediately took her into custody, threw her into Stafford gaol and put her on trial for witchcraft. 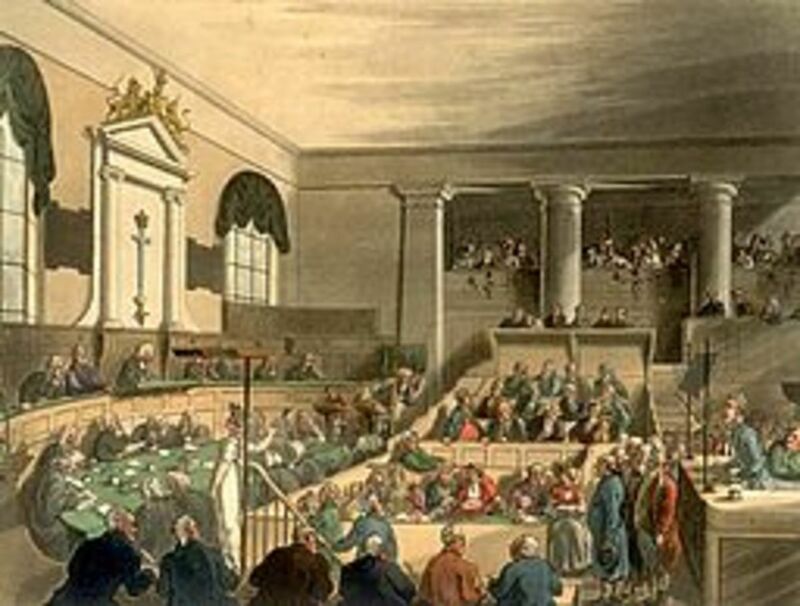 At her trial at Stafford assizes Perry and his parents sat in the packed courtroom waiting for the prisoner to be brought to the dock. He sat peacefully and placid facing the jury until she the second before she entered the court when he put on the performance of his life described by witnesses as ‘so stupendously unnatural that it was deemed by all who saw it, that nothing but a diabolical spirit could work such horrid effects’. Before hearing even a word of evidence, the jury were left in no doubt of the obvious guilt of the old woman, who already had a reputation for being a miserable old crone. 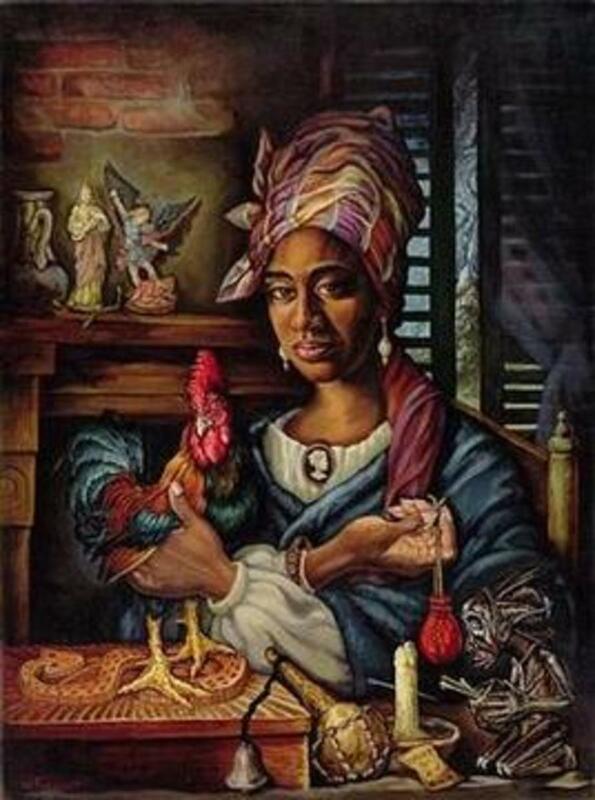 Despite her pleas of innocence she was convicted of witchcraft and sentenced to death. Even this had no effect on the conscience of Perry. Whether he was callous and vindictive or was simply in so deep that he found it impossible to withdraw, remains a bone of contention. What we do know is that Dr. Morton, the Bishop of Lichfield was present in court and was not convinced of the guilt of Susannah Fowles. He could see no reason why the woman would want to bewitch the schoolboy and had picked up rumours that the boy had received visitors from Jesuits which aroused his suspicions. He pleaded with the judge to reprieve the woman until the next assizes in 3 months time, during which time he would take the boy home with him and have him strictly examined in order to get to the truth. 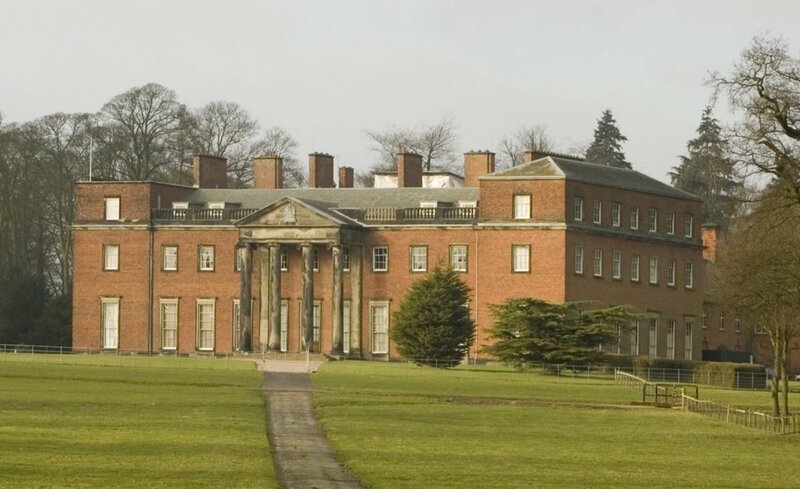 Remarkably the judge agreed and William Perry went back to the Bishop’s house at Eccleshall Castle. Here his diabolical fits continued as before but now he did not have a gallery to play to, just the bishop and his close advisors who eyed him closely and with great suspicion. Under the stress of such close scrutiny, William Perry became sullen and refused to eat, sometimes going without food for 2 or 3 days at a time. He lost weight drastically and his throat mysteriously swelled up and his behaviour became increasingly bizarre. He lay in bed for days almost senseless and on other occasions was seen foaming at the mouth. He lashed out at anyone who approached him including his own mother whom he ‘made all black and blue about the arms and breasts’. He never spoke only in his fits and then only in an incomprehensible gibberish accompanied by bizarre facial expressions and gestures. The Bishop visited him frequently sometimes dealing with him gently and other times more roughly but the evil spirit resisted all attempts to be laid. It was at this time that the learned bishop read to him passages form the Bible in Greek which drove him into his fits. Then he read out some verses from the Greek poets which the demon could not distinguish from scripture for it also provoked a demonic reaction. The bishop was now certain that his reluctant teenage house-guest was almost certainly an imposter but how to catch him out was his dilemma. Encouragement and threats proved ineffectual on the boy so the Bishop resorted to more violent means. He had him dragged out of his bed and while one of his staff held him down, the bishop thrashed him six times with a cane but this had no effect whatsoever on the boy, ‘no more than if he had been insensible stock’ wrote the Bishop later. The Bishop then incredibly decided to torture a confession out of the boy by forcing needles down his fingernails and toenails. 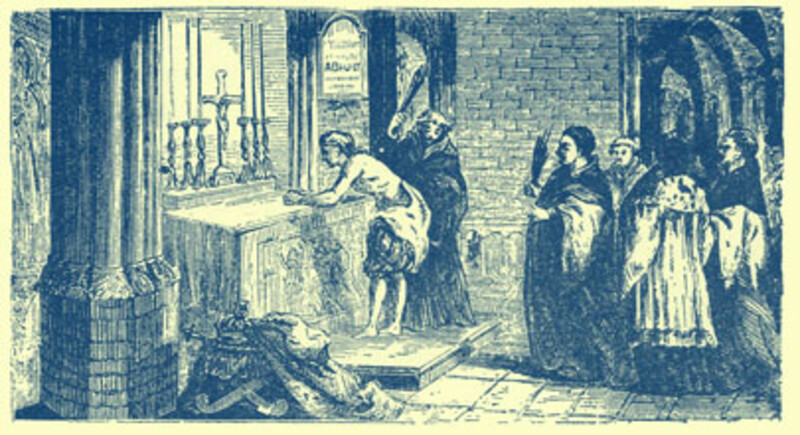 Whilst writhing about one of his fits, the Bishop held him down and thrust burning candles into his eyelids until they singed off his hair, none of which yielded the desired confession and in fact the torture was proving more upsetting for the Bishop and his staff to inflict than it was to the stubborn demoniac to endure. His fits and convulsions became increasingly severe and on several occasions he lunged for knives and other instruments in order to harm himself so much so that he was placed on a suicide watch in the Bishop’s castle. This tortured existence continued for three months with no signs that the boy would relent, irrespective of how he was treated. Doctors who examine him became concerned about his deteriorating and emaciated condition. He then began to display black urine which caused even the hardest sceptics amongst the Bishop’s entourage to have second thoughts and consider that perhaps the boy was possessed by the Devil after all. At one point the Bishop himself had doubts and began to despair that perhaps he had misjudged the boy after all and that he was a victim of Lucifer’s evil work. He considered that he had now done everything in his power to uncover the truth and if the unholy black urination continued, he would have to admit defeat. In a final effort to expose the imposter, he had the boy secretly watched by a servant, through a spy hole in the boy’s chamber. 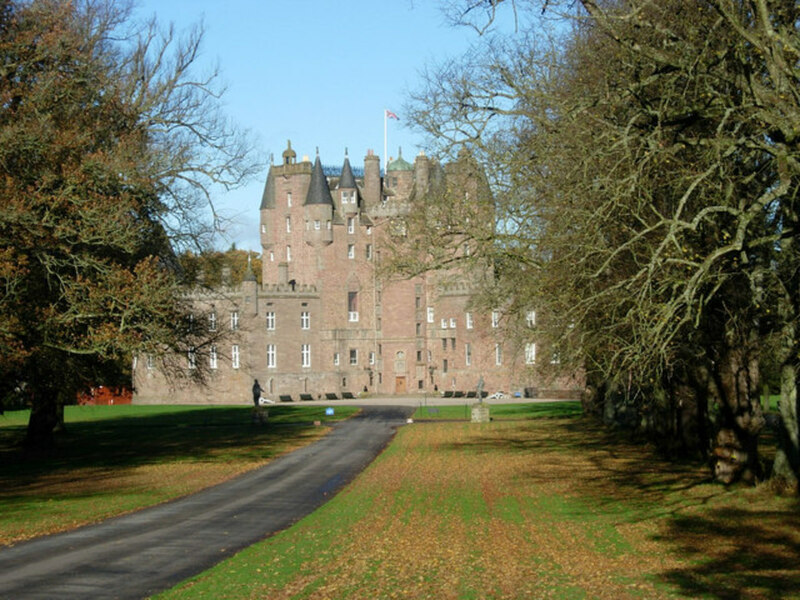 One morning when the Bishop and his family had left the castle, William Perry awoke to a silent house. Believing the house to be empty and unaware that he was being watched through the spy hole, Perry crept out of bed, lifted up his mattress and from the straw beneath, took out an ink-horn. He poured black ink onto a fragment of cloth and was seen to urinate into a chamber pot through the ink-soaked cotton. Another small piece of ink-soaked fabric he secreted under his foreskin, in case he was later forced to urinate in the presence of witnesses. He then returned the inkhorn under the mattress and jumped back in bed. When the Bishop returned, the servant reported what he had seen. Dr. Morton went straight to the bedroom, where the boy still lay in bed, and asked the boy how he was. The youth groaned pathetically and pointed a finger feebly at the chamber pot containing the black urine. He called in the servant who went straight to the mattress and moved the incriminating inkhorn and confronted the boy with what he had seen. The Bishop furiously threatened to have Perry clapped in gaol, when he finally fell to his knees and confessed all and begged his forgiveness. 'The Boy of Bilston' Finally Confesses! 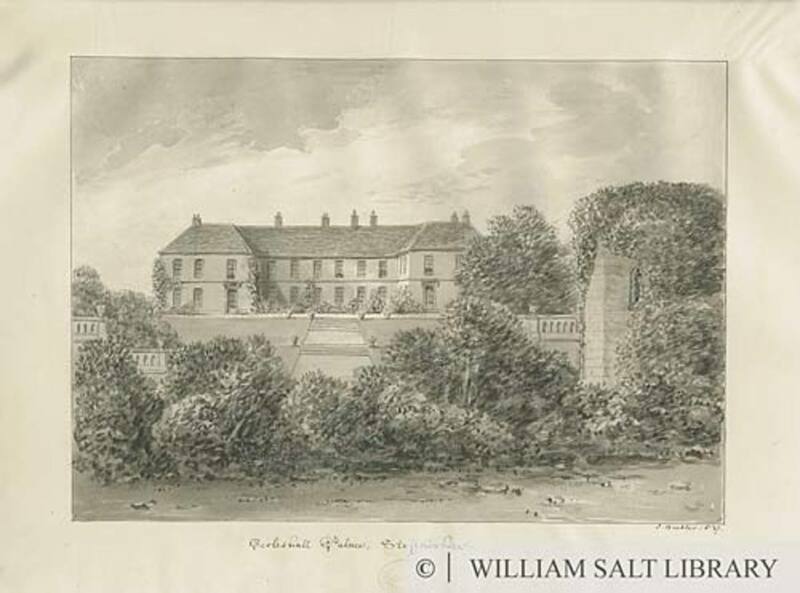 The sobbing youth then disclosed in full how he had met a pedlar on his way to school who had enticed him to go with him to Sir John Gifford’s house at Chillington Manor. There he was met by four Catholic priests who bribed him with money and flattery to become part of their conspiracy. There he was coached in a masterclass of deceit and tutored in diabolical tricks of swallowing and regurgitating pins and needles. He remained there for three days practising the various deceptions and rehearsing the contorted fits and grimaces which were to make him the wonder of the age. By the time he returned home his distraught parents were overjoyed to see him, fearing that something terrible had befallen him. Shortly afterwards he began to exhibit his bizarre behaviour and make his false accusations against the old neighbour. His convincing performances continued over weeks and months as he took centre stage with hundreds and then thousands thronging to Bilston to witness his devilish cavorting and abominable vomiting. His poor unwitting parents became the object of pity and prayer from those who passed through and benefitted from the donations that were made from the pilgrims who flocked to their humble home. Seeing the money rolling in and his impoverished parents gaining some benefit from his performances, Perry admitted that he was encouraged to persist with his deception long after he should have stopped. Even when the co-conspiratorial priests arrived to apply the ‘cure’, he was so enjoying the comfort and riches that his demonic possession had brought him, that he refused to desist even when the Jesuits ‘charmed him, beat him, pinched him and used him never so cruelly’. The Bishop asked him why he had so cruelly accused old Susannah Fowles of witchcraft and Perry told him that the priests told him ‘he must lay the cause of his being possessed on some old woman”. As he knew the old woman and she had previously scolded him, he chose her as the unfortunate scapegoat. Asked how he fell into fits during his examination at Lichfield when he could not see the old woman entering the room. He told them that he overheard someone in the room whisper “she is here” which then prompted him to scream out “She comes, she comes”. Similarly at her trial at Stafford Assizes, Perry admitted that he took his cue from the jangle of her manacles as she was led up to the steps from the cells to the courtroom. Finally he was asked how he made his throat swell and he admitted that he had had simply forced his tongue (which was apparently very long) backwards down his throat to give the impression of it being swollen. This was a ruse of his own invention, he added, the rest he was tutored in by the priests. The Bishop reported his findings to the judge at the next assizes and the old woman was saved from the gallows in the nick of time. The boy was prosecuted for his fraud but as Dr. Morton gave evidence of his genuine repentance, he was bound apprentice to the Bishop and did indeed grow up to be an honest man, working for the church for the rest of his life. As an act of deception, the elaborate demonic possession of William Perry was a masterpiece in the art of deception. His dogged resistance to all efforts to expose him, including systematic torture demonstrates a remarkable, if misplaced determination of character. Thankfully Susanna Fowles escaped an untimely death, although history does not record what she said when she finally met young William again! His methods may have been brutal, but it was the steadfast efforts of Bishop Thomas Morton of Lichfield and Coventry that ultimately saved an innocent woman from the hangman’s noose and exposed ‘The Boy of Bilston’ as one of England’s most astonishing paranormal imposters. Many thanks for taking the trouble to comment bearnmom- it means a lot! This was an interesting read and well presented. Was the pun intentional then Jodah! ...not to mention enterprising. Not the most obvious hiding place was it?! What an incredible wresting story Brian. The Bishop was certainly persistent in his attempt to uncover the truth, but the boy must have been very convincing.